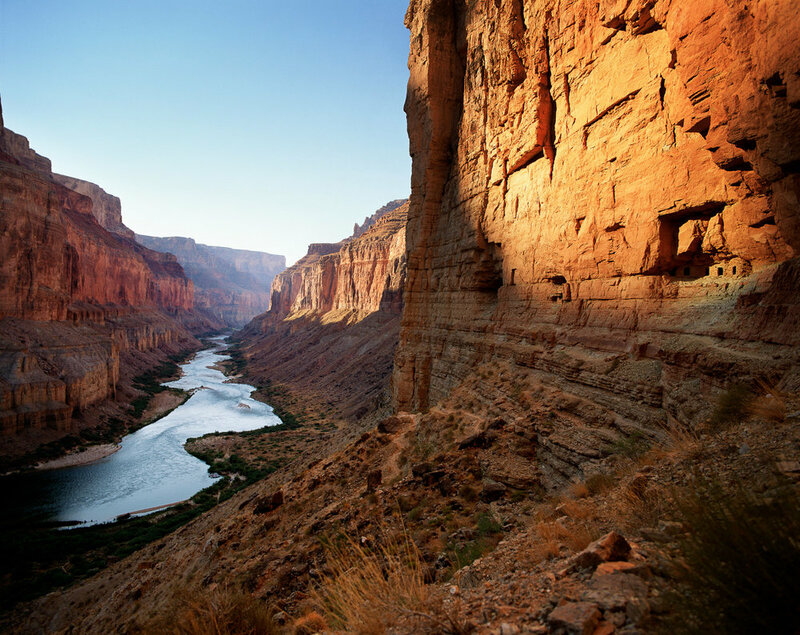 The Colorado River winds through massive canyon walls in one of the most scenic wonders of our world, the Grand Canyon. Join Muench Workshops pros Marc Muench and Michael Strickland for this photography workshop and expedition. The workshop will begin in Flagstaff, two days before the expedition, where you will be given lessons on composition, technique, and image making in the field. 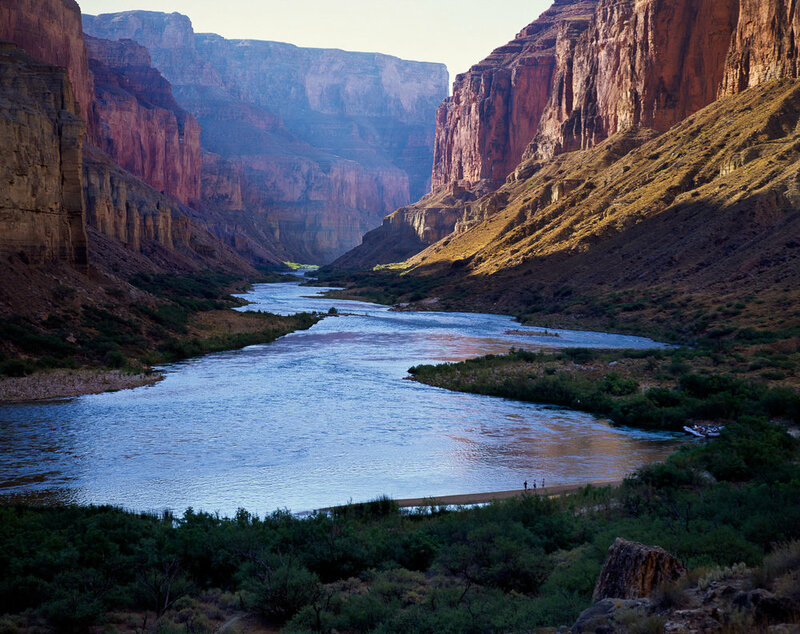 Then, Arizona Raft Adventures will guide us on this eight-day expedition, rafting on the Colorado River. Following our eight days on the river, Marc and Michael will conduct a full day of image reviews, combined with post processing lessons, all with the images just captured on the expedition. This will be held in a private meeting space in our hotel, with classroom-style seating so that everyone can participate, working on their own laptops. A motorized raft offers a great way to experience the Colorado River. Safe and comfortable, with plenty of room for camera equipment, it allows for more time to explore and photograph. Our river guides will share canyon geology, early river running history, river ecology, and many other facts and river lore. When you embark on this journey, everything needed for the entire expedition is carried on the raft. Arizona Raft Adventures pioneered the use of quiet engines and they are just big enough to steer our 32–34 foot long rafts. Their custom designed boat is comfortable, yet still offers excitement through the rapids. Our group size is small, allowing for everyone to spend time photographing in all the amazing locations. You will see 225 miles of the river from “put in” at Lee‘s Ferry to “take-out” at Diamond Creek. 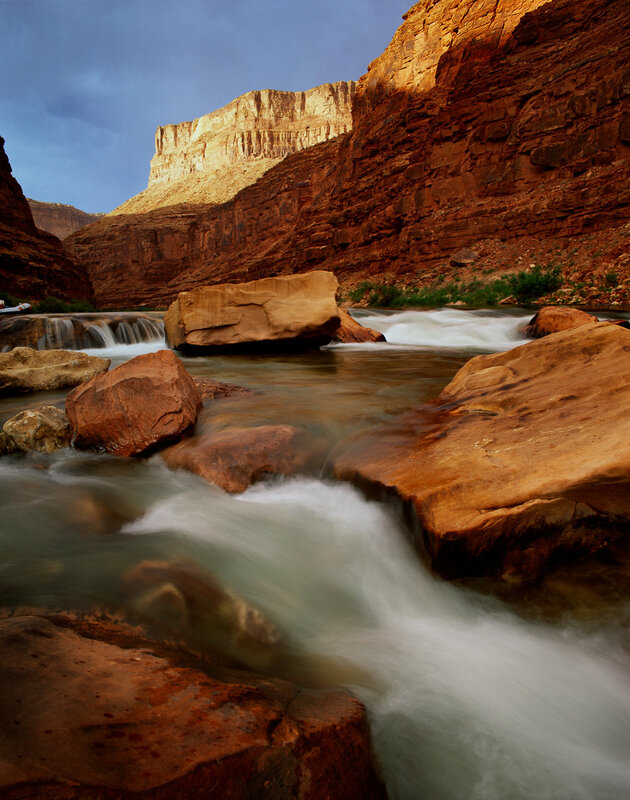 Daily itinerary includes rafting, camping, hiking, swimming, and, of course, photography. 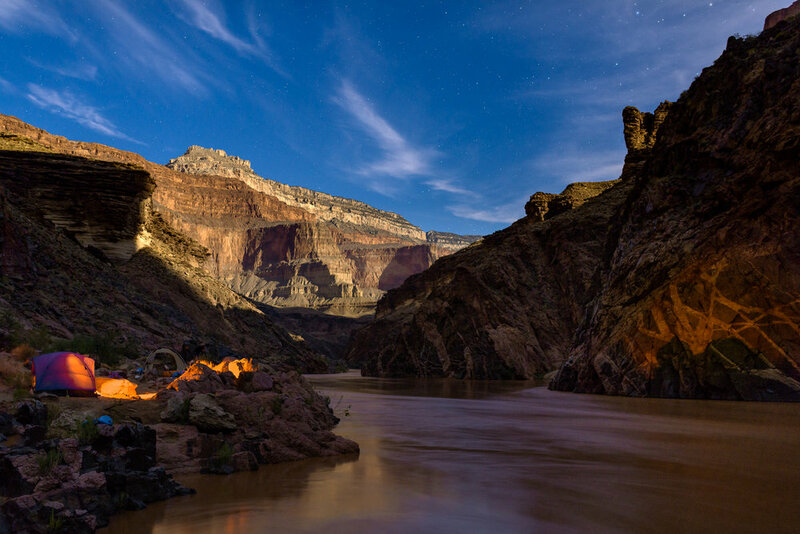 This will be a great opportunity to float through the deepest canyon on earth, and capture images of beautiful caverns, waterfalls, streams, and so much more. We will eat like royalty at every camp, where the guides will prepare amazing meals with fresh local meats, vegetables and herbs. All camping equipment will be provided. Guests of all levels of rafting experience are welcome on the motorized raft trip. Non-photographer spouses, family members, friends are welcome! May 4, 2020: Meet and greet at 5:00 PM in hotel followed by group dinner. May 5, 2020: Photography in the field at Sunset Crater and Wupatki, NM. This will be a great time to learn landscape techniques before you begin your journey down the Colorado River. Lunch in town, then lessons in post processing and composition. Dinner followed by 7:00 PM orientation meeting with Arizona Raft Adventures guides. May 6, 2020: Early breakfast and board the bus to Lees Fairy, where we embark on our private raft for the expedition. After a few hours on the river we’ll stop and camp for our first night of sleeping under the stars in the Grand Canyon. May 7–13, 2020: For seven nights you’ll be sleeping under the stars, in one of the most dramatic locations in the world. Each day our guides and leaders will discuss locations, logistics, and plans. Be prepared to enjoy the cool waters of the river, amazing side canyons with streams, waterfalls and pools, and hot afternoons with cool refreshments. Everyone gets tents for sleeping if they choose, portable showers are available, and portable toilets are provided. All cooking and food will be prepared and handled by our guides. May 13, 2020: The last morning on the river, breakfast then bus ride back to our hotel in Flagstaff. Shower time, then dinner to be enjoyed on our first dinner table in seven nights! May 14, 2020: Breakfast at hotel, 9:00 AM class begins. You'll be asked to share samples of your images from the expedition and receive valuable critique from your pros. Bring your laptop, as there will be tables and power to follow along during the post processing lessons. 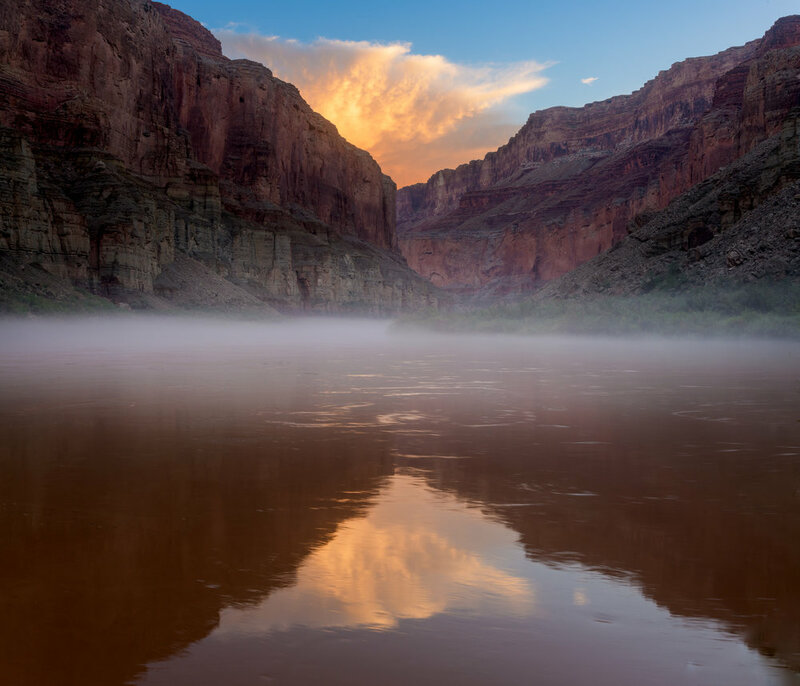 Learn how to make simple yet powerful edits to your images, crop and set the white point to reveal all the colors of the Grand Canyon. 4:00 PM break for day followed by final group dinner and goodbyes. This night's stay at the Little America Hotel is included. May 15, 2020: Flights home anytime. Waterproof dry bags (not for your camera gear), sleeping bag and liner, sleeping pad, tarp, tent, camp chair, mug, Colorado River Guide Book, life jacket, and eating utensils. Transportation to/from Flagstaff, Arizona. Alcoholic beverages. Items of a personal nature. Medical Evacuation Insurance (required). Travel Medical and Trip Cancellation Insurance (optional, but recommended). Anything not listed as included. Your deposit of $2,500 will hold your space in this workshop. A second payment of $3,000 is due by Sept 30, 2019. The balance of $2,995 is due Jan 31, 2020. After Sept 1, 2019 all payments are non-refundable. All of our other standard terms and conditions apply. Need special payment arrangements for your deposit? No problem, just ask us. Got questions? We're always here for you. Ready to join us? Click the ”Sign Me Up!” button below and we'll see you in on the Colorado!